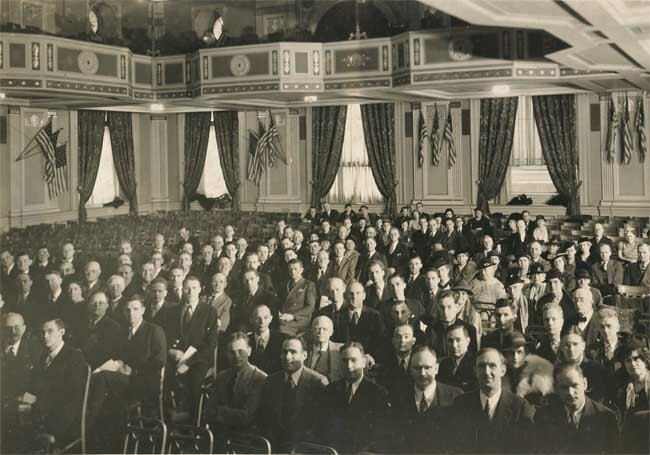 In the first three parts of this series we not only explored the centrality of Christian Liberty to the debates and discussions that led to the OPC’s division, but actually spent the third part focusing on the 3rd General Assembly, which was followed shortly by the exodus of the McIntire/Buswell group and the creation of the Bible Presbyterian Church. After the division of 1937 some began to speak of the OPC as a “wet church,” which for the time was a derisive term (as it was probably intended). In a booklet called “The Presbyterian Church of America and the Liquor Question” Clifford Smith defended the OPC’s refusal to speak in favor of total abstinence. He argued that while drunkenness was clearly condemned in Scripture (something all parties were agreed upon), he also classified moderate liquor consumption as a “thing indifferent” — something that is neither morally virtuous nor evil in itself. He referred to moderate alcohol consumption as “among things that are morally indifferent and is to be dealt with on this basis.” Although there were perhaps those in the McIntire/Buswell camp who believed alcohol consumption in any amount to be sinful, those who wrote and published publicly on the matter generally dealt with consumption of alcohol by classifying it alongside of those things that cause others to stumble but are not sinful in and of themselves. Smith expressed a common sentiment among those who defended the OPC’s refusal to take a stand on abstinence: “Just because a thing is morally indifferent in itself, it does not follow that every Christian has free license to do it.” Nevertheless, he argued, that was not a sufficient ground to forbid the thing. Smith also went to great lengths to point out that the OPC’s refusal to move on the issue as the abstainers desired did not mean that the OPC was a “wet church.” They did not have a position on total abstinence, just as the Bible did not have a position on total abstinence. 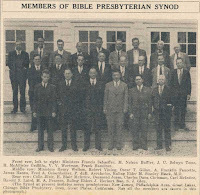 When McIntire, Buswell, and company parted from the OPC in 1937, they left to form the Bible Presbyterian Church (BPC). 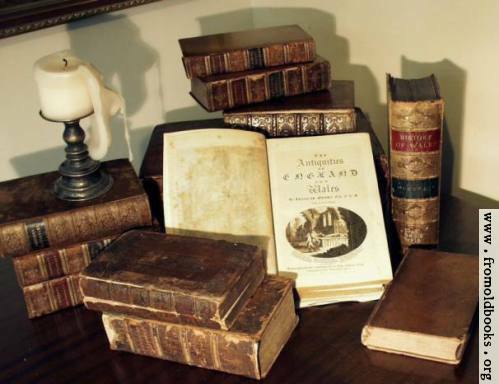 When the first General Synod met in September of 1938 they passed a resolution stating that “we deem it wise to pursue the course of total abstinence.” This statement was re-affirmed at the Bible Presbyterian Church’s fourth General Synod. There the discussion was not framed in terms of clear prohibitions from Scripture but in terms of applied wisdom. We deem it wise to pursue the course of total abstinence with regard to alcoholic beverages, and also tobacco; and furthermore we are unalterably opposed to the modern saloon, and the liquor traffic in general. We urge all ministers and Christian leaders among us to discourage these and other worldly practices among the Lord's people, and to give their testimony uncompromisingly against all forms of sin. In both of the preceding statements, spanning 1937-1945 the argument of the abstainers was consistent: based on the wisdom of abstinence, abstinence was the required lifestyle of the Christian. The Harvey Cedars resolution stated that this call was “in conformity to the Word of God,” though it also said that this was “without adding thereto any rules binding the conscience.” They were careful to avoid framing the discussion in terms of biblical commands or prohibition, though it arguably became, in effect, a biblical command several steps removed. For the abstainers who left the OPC, this was a matter of prudence, and the prudent thing was to avoid alcohol altogether. In his own reflection on the division of the OPC, George Marsden argues that, ultimately, the cause of division cannot entirely be placed squarely upon either the personalities or the theological issues involved. Neither of them, in and of themselves, would have been sufficient to effect the division. Rather, says Marsden, each side in the conflict represented competing visions of what a Presbyterian Church ought to be. The Mcintire/Buswell group represented a vision of Presbyterianism as “a Bible-believing church witnessing to the world both in the preaching of the Word and the ‘separated life.’” The majority, says Marsden, wanted “an orthodox church whose witness would reflect an informed study of the scriptural principles in the church and its work.” Marsden concludes that these two compatible visions of the church — which could (in principle) be held in balance — became incompatible when the balance between themselves was lost. Perhaps the only man who could hold the factions of the OPC in balance was Machen himself, but his death in January of 1937 meant that such questions would belong only to the realm of conjecture and speculation. If it is true that only Machen could hold these groups together, then the uneasy alliance that opposed modernism in the PCUSA could never have held together on their own in the long-term. The majority in the OPC chose a path that would eventually put them at irremediable odds with the desire for the separated life expressed by the McIntire/Buswell group. [ ] Clifford Smith, The Presbyterian Church of America and the Liquor Question. (PCA Historical Center, Buswell Collection, Box 286, File 105), 1. J. Oliver Buswell, The Christian Life (Grand Rapids: Zondervan, 1937), 86. 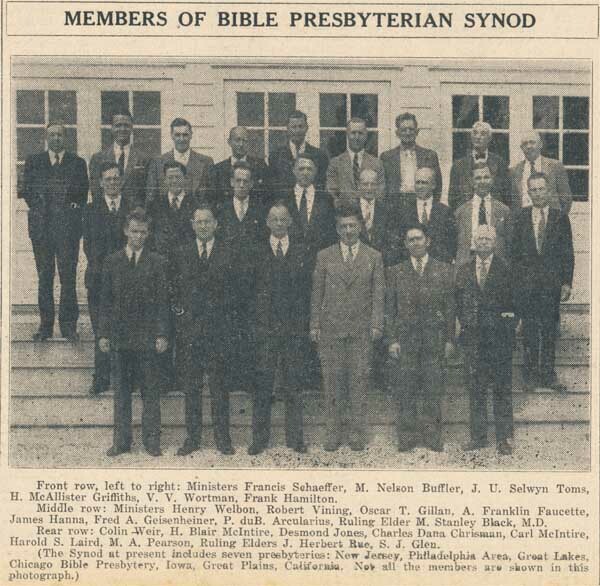 Minutes of the 4th General Synod of the BPS (1941), 6. PCA Historical Center. “The Harvey Cedars Resolutions,” http://www.pcahistory.org/documents/harveycedars.html (accessed Jan. 2, 2015). This was true not only of statements in print but also in personal correspondence. For instance, in a letter to Charles Woodbridge, J. Oliver Buswell argues that this whole discussion was ultimately a matter of how wisely and carefully the believer exercises his freedom. Appealing to Paul’s words in Romans 14:15-22 he argues that the offensiveness of liquor is in itself sufficient reason to forbid ever drinking it. Letter from J. Oliver Buswell to Charles Woodbridge (April 24, 1937). The Christian Beacon 2 Vol. 23 (July 15, 1937), 1, 8. D G. Hart, Defending the Faith: J. Gresham Machen and the Crisis of Conservative Protestantism in Modern America (Phillipsburg, N.J.: P & R, 2003), 170. Marsden’s concluding analysis of the split makes for fascinating reading. See George M. Marsden “Perspective on the Division of 1937” in Charles G. Dennison and Richard C. Gamble, eds., Pressing Toward the Mark: Essays Commemorating Fifty Years of the Orthodox Presbyterian Church (Philadelphia: Committee for the Historian of the Orthodox Presbyterian Church, 1986), 321.